Investors finally put the "sell in May and go away" mantra to bed this year. 1. Stocks eke out gains Friday on top of a strong month: The Dow and S&P 500 notched out record closes Friday, while the Nasdaq fell modestly. This month, the S&P 500 surged over 2%, ending at 1,923.5. 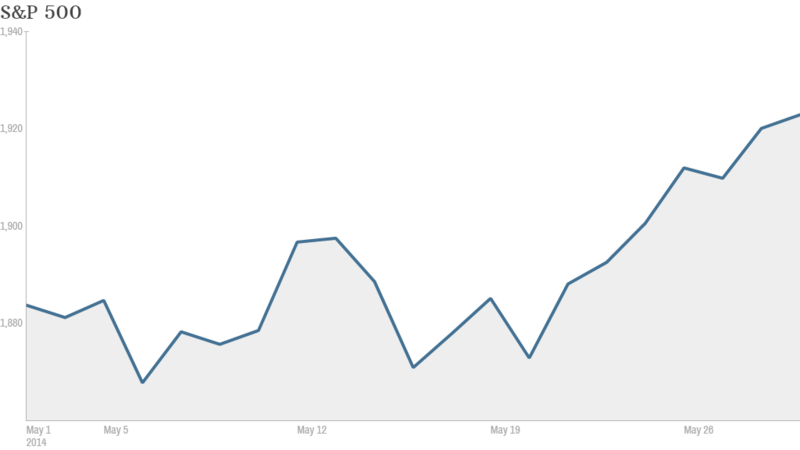 The Nasdaq experienced an even more dramatic rebound after two months in the red, adding 3.1% in May. The Dow hit a new high of 16,717. In another telling sign of a rebound, the CNNMoney Fear & Greed index is in neutral territory. It had been languishing in fear for weeks. 2. Market movers: Allergen, Salesforce, Big Lots, Ann Taylor -- Shares of Allergan (AGN) spiked almost 6% after hedge fund manager Bill Ackman and Valeant Pharmaceuticals (VRX) boosted their takeover bid for the Botox maker. Big Lots (BIG) soared 13% after the retailer topped analysts' earnings expectations and raised its outlook for the rest of the year. 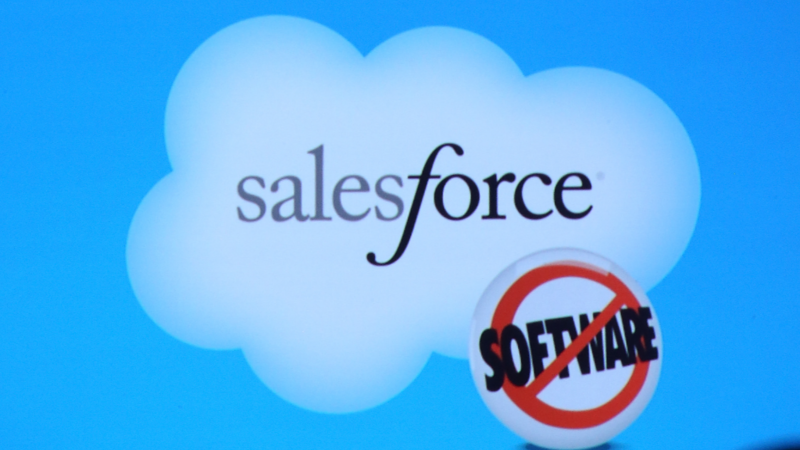 Salesforce (CRM) shares fell after initially getting a bump from the company's announcement of a partnership with Microsoft. Speaking of Microsoft, the news that the company's former CEO Steve Ballmer will buy the L.A. Clippers for $2 billion is having an effect on the stock of Madison Square Garden. Shares of MSG (MSG), owners of the Knicks and the Rangers, rose more than 3% today as investors bet that the size of the Clippers deal will translate into a high valuation for New York teams, which play in the biggest market in the country. Shares of Ann Taylor (ANN)popped 4% after the women's apparel retailer beat earnings estimates, boosted by sales increases in its more casual LOFT brand. 3. Golden Apple? Apple shares traded as high as $644 Friday, but dipped back down to $633 by the closing bell. Still, the stock is up 7% in the last month, and is only about 11% away from its September 2012 all time high. Apple has benefited recently from its $3 billion acquisition of Beats, as well as anticipation ahead of a developer's conference Monday. There's also excitement about Apple's seven-to-one stock split in early June. Related: Apple stock: How high can it go? But one StockTwits trader wasn't buying into the Apple hype just yet. "$AAPL I'm taking a breather. Next week may just not be as good as everyone expects. Will get in again if something really good happens," said kjbusa. StockTwits user PaulCloutier thought the Apple excitement was warranted. "$AAPL Some people were not convinced about apple and now they change their mind, thats all. Bullish," he said. 4. International action: European markets finished mostly lower, with shares of BNP Paribas (BNPQF) off by more than 2%. The Wall Street Journal reported that U.S. authorities were pushing the bank to pay more than $10 billion to settle a criminal probe of alleged sanctions violations.